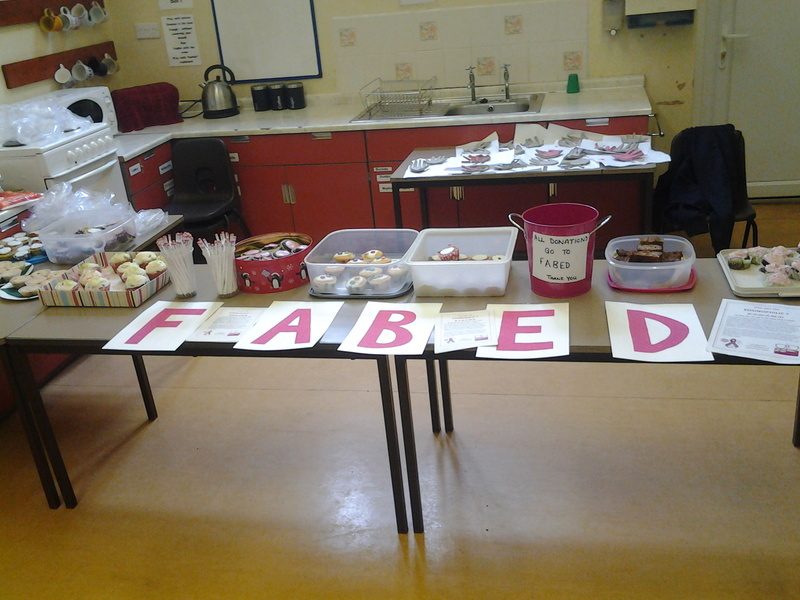 Today is the penultimate day in National Eosinophil Awareness Week and our plans were to raise awareness and funds for FABED at school. I had approached M and G’s headteacher last week to ask if we could hold a cake sale – and yes, I do realise the irony in that choice – during today’s Sports Day. He readily agreed and the call went out, letting parents know about our cause and asking for donations of cake, and cash, for the day itself. However, at around 2am this morning, when I heard the rain pounding down outside the bedroom window, I realised with a sinking heart that there was no chance of Sports Day happening and I would need to agree an alternate plan with the school to get rid of the 100 M-friendly cupcakes that were littering our kitchen. Fortunately, school have been fantastically supportive of our fundraising efforts this week and we were able to hold the cake sale at the end of the school day instead. Despite the last minute change to our plans, we raised an amazing £87 for FABED and even managed to hand out some information flyers about EGID to interested parents. I was encouraged to be told by one parent that she had never heard of EGID before receiving the e-mail about the sale and so had gone on-line to find out more about the condition. That, for me, has made all our efforts this week worth-while. M and G were also keen to raise awareness with their teachers and late Wednesday evening, I came up with a plan that would get our message out. Thanks to the generosity of FABED, I had a stash of their pens at home – bright pink and bearing the FABED logo – and, following a hasty head-count of the members of staff in the school, realised that there was enough for every teacher to be given one. 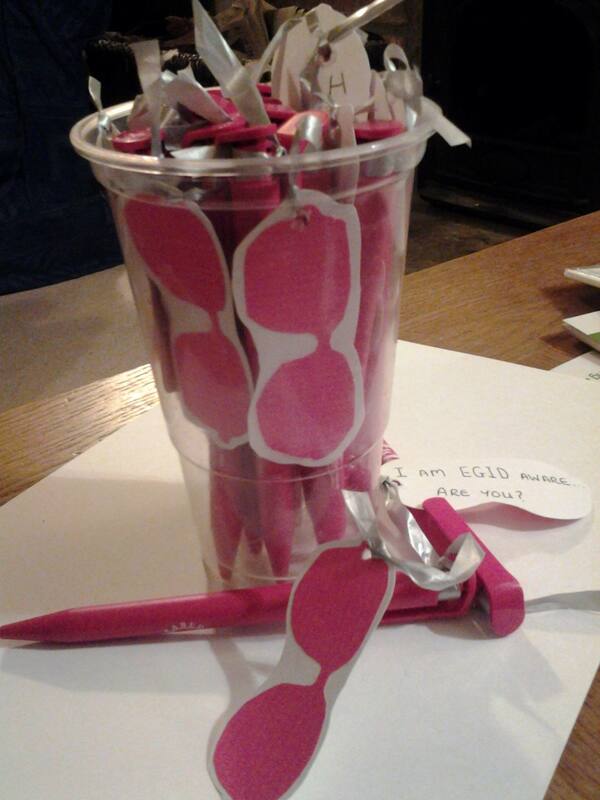 I painstakingly cut out pairs of glasses from “FABED-pink” paper, glued them to hand-made white card tags, inscribed them with the words “I am EGID aware..are you?” and attached the tag to each pen. The end result was effective and M was delighted to be able to take them in to school with him this morning and hand them out to the teachers. We had lots of positive feedback as they received their pens from him and I hope that this will encourage them to also find out a little more about EGID. Knowing that at least 3 teachers have decided to use the FABED pens as their dedicated register pens assures me that it’ll be a constant reminder of EGID and not just a nice thing that happened on the Friday before half-term. 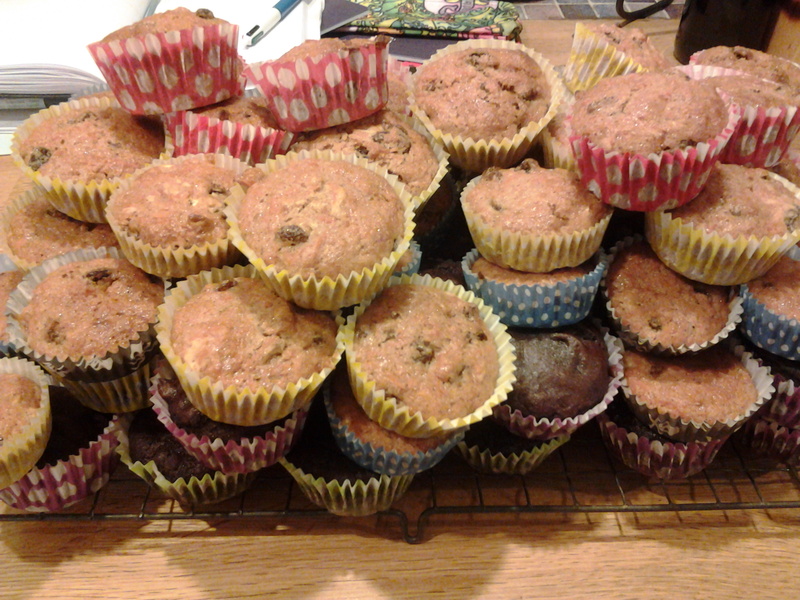 Not content to leave our awareness-raising with just school today, M also took some pens and left-over M-friendly carrot cake cupcakes to Stagecoach tonight for his teachers there to enjoy. He’s been fab at handing them out today and has grown in confidence about explaining what it’s all about – as long as Mummy’s alongside to lend a helping hand when needed. On the food front, Mike decided to eat exactly the same food as M today, matching him mouthful for mouthful, even down to the obligatory serving of Neocate at the end of the day. 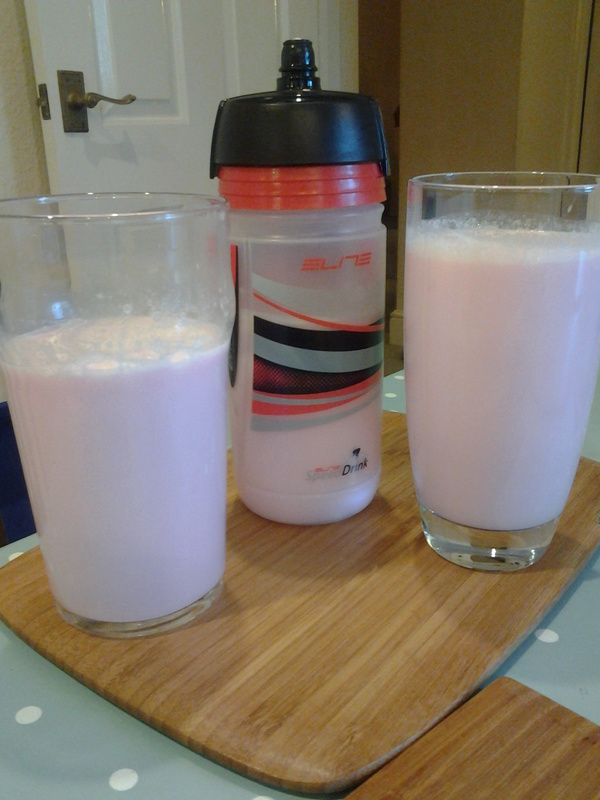 I chose not to do the same this year as M has been off his food this week due to his flare and I need to keep my carbohydrate intake up to keep my T1D on an even keel, although I too have endured enjoyed a glass of Neocate! This entry was posted in General and tagged Awareness, Baking, Cake, charity, Conditions and Diseases, Education, EGID, Eosinophilic, FABED, food allergies, fund raising, health issues, ill health, parenting, school, Special Diets on May 23, 2014 by bluesingingdragon.